Start CNC programming and machining in-house with the shortest possible learning curve for prototype machining and tooling, while maintaining scalability for production machining. 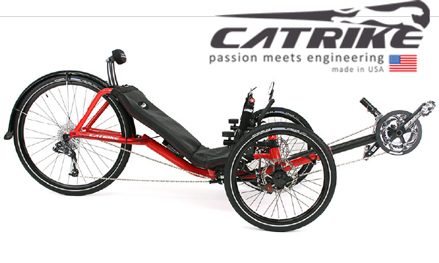 Seamless Integration allows Catrike to work within the familiar SolidWorks interface, making CAMWorks incredibly easy to learn and use. 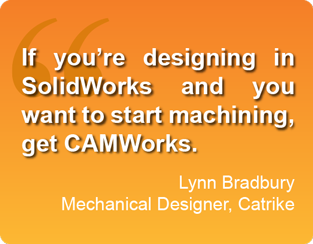 Accurate Tool Path Simulation gave the confidence to get parts machined right the first time.